The BioSense Institute is a public research institute that coordinates, focuses and advances research, introduction and promotion of state-of-the-art ICT solutions in agriculture, environmental health, ecology, environmental protection, water management and industry. The mission of BioSense is to lead multidisciplinary, game-changing and needs-driven research to ensure safe and adequate food for the growing earth population, with a minimal environmental footprint. BioSense exists to generate, apply, and disseminate research findings through a global ecosystem of forward-looking stakeholders and build capacity in the field by empowering the next generation of technology-enabled professionals in the agrifood sector. The vision of BioSense is to be a European leader in research in ICT for agrifood and related biosystems. BioSense strives to create prosperity and sustainability for a broad ecosystem that includes academia, government, industry, farming community and civil society. 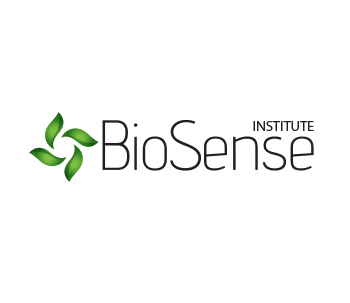 With state-of-the-art equipment and – most important – with an international group of more than 60 enthusiastic researchers, BioSense Institute is able to perform multidisciplinary scientific research at the global level and contribute to the development and sustainability of eco-innovation in the areas of major importance for society, agriculture and the environment. Dr. Branko Sikoparija is senior researcher at the BioSense Institute and Quality manager at Laboratory for palynology – UNSPMF (ISO17025). He is a highly-conscientious, self-motivated and practiced researcher with a strong background in environmental science, ecology, aerobiology, allergy & health, modelling & forecasting. Branko Sikoparija is accomplished writer and reviewer for multiple scientific research journals. As commercially-aware researcher, Branko Sikoparija developed skills for applying for funding and he also acted as the investigator on a number national and international research projects (Ministry of Science-Serbia, SNSF-SCOPES, IPA, WUS-CEP&CDP+, EC-HORIZON2020). He coordinated the registration of Protected Designations of Origin for Fruska Gora Lime Tree Honey and has been Serbian representative in two COST Actions ES0603 and FA1203. 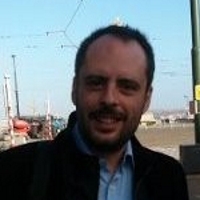 He is very successful in developing networks and collaborations both interdisciplinary and cross disciplinary. 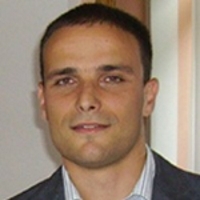 Mr. Grigoris Chatzikostas works as Business Development Manager at Biosense Center. He has over 10 years of international experience in fostering successful win-win research collaborations and partnerships between industrial players, government organizations and leading academic institutions to increase the rate of innovation and technology. His experience includes writing successful proposals, carrying out contract negotiations and acting as coordinator on a number of projects in the fields of Environmental Technologies and Introduction of Advanced ICTs in agricultural clusters. Mrs. Nevena Vračar graduated in Agricultural Engineering at Faculty of Agriculture and obtained Master degree of Faculty of Organizational Sciences, both at University of Belgrade. 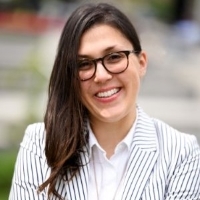 She is a very experienced business professional in the agrifood sector, holding senior roles in large industrial agrifood groups (Manager in Delta Agrar Agro Service Department, Business Development Manager in Delta Holding). Apart from being familiar with innovation strategy, Mrs Vračar has ability to connect with private sector stakeholders across the value chain.